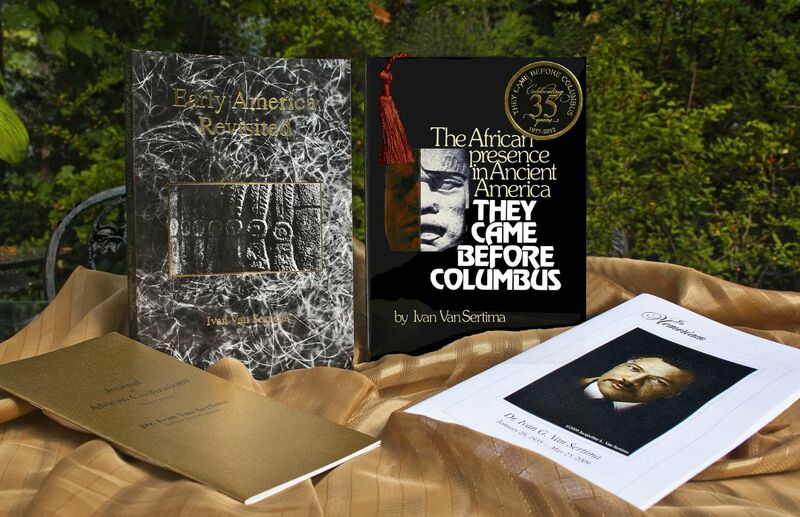 In celebration of the 35th Anniversary of Dr. Ivan Van Sertima's magnum opus, They Came Before Columbus, the Journal of African Civilizations will be offering, the rare, original, hardcover edition, of this extraordinary and timeless work - a must for any library seriously equipped with African-centered history and outstanding legacies. To enhance your understanding of Dr. Van Sertima's well-researched, brilliant depiction and narrative of an historical adventure, its implications and its popularly glorified fabrication of Columbus' voyage to America, we also include Early America Revisited. It was initially written because, as a true scholar, Van Sertima's research never ended, and because his anger, directly aimed at his critics, was unrestrained in the light of their blatant dishonesty. Needless to say, Dr. Van Sertima could not rest until he wrote this companion to They Came Before Columbus, charged with undeniable elucidations and straightforward truths. There were, and are, few educators armed with his vast body of knowledge, and few bold enough and determined enough to express it to the world without apology, and beyond a shadow of a doubt. His previous brochure, a gold-covered listing of all of the Journals, produced during his lifetime, will be included to complement his great works and the thinking and planning of a scholarly leader's mind, and of those very qualified contributors (scholars in their own right) who were only waiting for the opportunity to join ranks. Lastly, and most importantly, Dr. Van Sertima's 28-page Memorial Program, a testament to his dedication to his people and the world, to historical responsibility and accuracy, and an undying belief in mankind's search for truth. 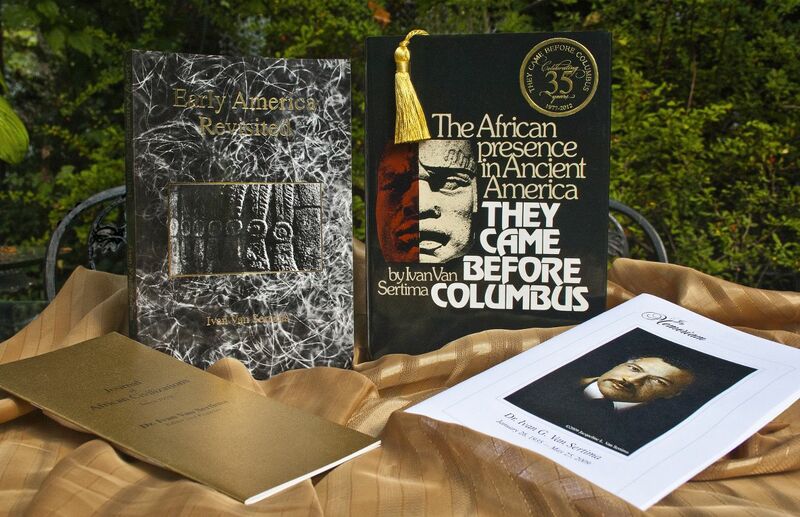 We thank you, in advance, for ordering the beginning...the literary gift that gave birth to the Journal of African Civilizations Ltd., Inc.